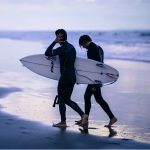 Welcome to Germans in Australia (GIA), a community and travel website for Germans living in Australia or planning a visit to Australia. We empower young people to live and even migrate to Australia through our exchange program and aim to build a network to help travellers find friends abroad. We give advice on visa requirements, travel destinations, working in Australia, accommodation and much more. A dedicated team of seasoned travellers, we have made it our aim to provide the best experience for anyone embarking on their journey to Australia. We’ve all lived away from home, travelled extensively, and adjusted to new cultures numerous times. Now it’s our turn to pass on our experiences. At Germans in Australia, we promote intercultural exchange between Australians and Germans. With this goal in mind, we encourage young people from Germany and other cultures to visit and experience Australia, either to travel, work; study or settle in Australia permanently. We offer very popular Working Holiday Packages and Study in Australia programs as well as migration pathways. Our exchange programs are open to young people who have a passion for travelling and experiencing new cultures; who are open-minded and have a keen interest in making new friends. 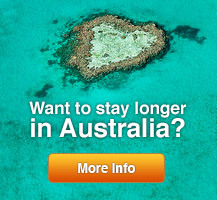 Embark on a once-in-a-lifetime adventure and experience beautiful Australia with Germans in Australia! In our member section, you can meet other fellow Germans and connect with like-minded travellers through our community pages. Membership is completely free of charge. Talk about topics that concern you or share your travel experiences in our forum. In the business directory, you can find German businesses in Australia, get in touch with potential employers, find German food and schools or simply browse for leisure activities.